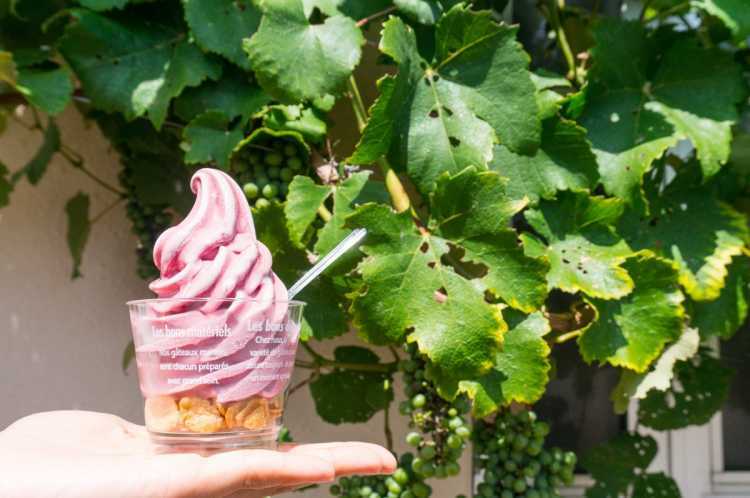 At an only winery in Shikoku Region, 'Sanuki Winery', you can eat a mellow wine soft ice cream of 100% Concord grape juice and fragrance of Sanuki wine. 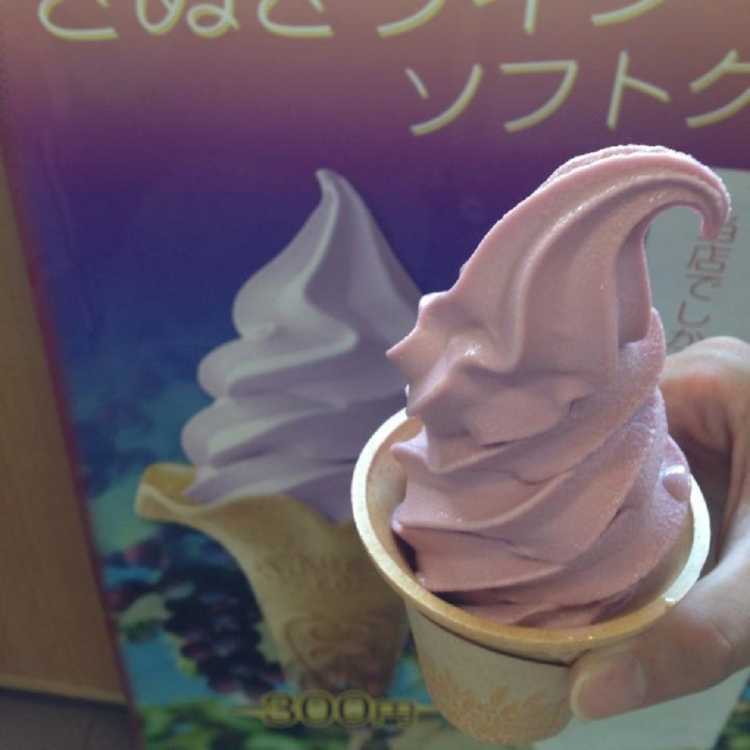 The percentage of alcohol is under 0.1%, so you don't have to worry about driving a car!◎Sanuki Wine Soft Cream 300 yen. The percentage of alcohol is under 0.1%, you can drive a car after eating. You can eat it only here, the wine made from the grapes grown in the warm climate in Setouchi. 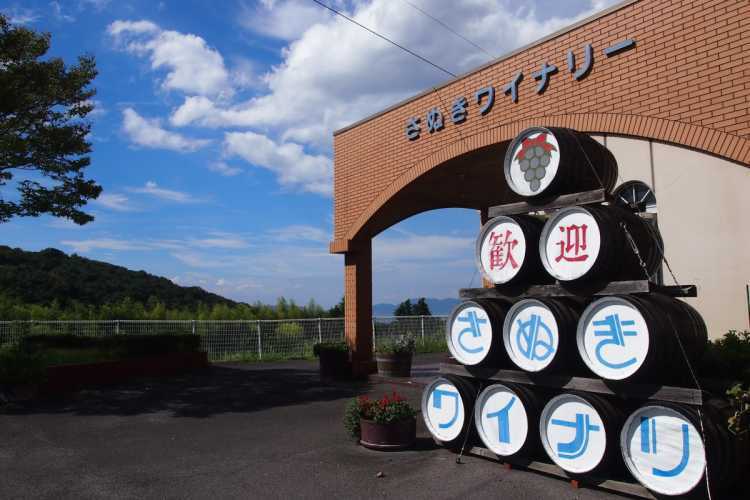 It's the only winery in Shikoku region. Of course, it's non-alcohol. It's for free. A sweet-scented Sanuki wine that were made from grapes grown in a Setouchi calm climate. You can tasting, too.